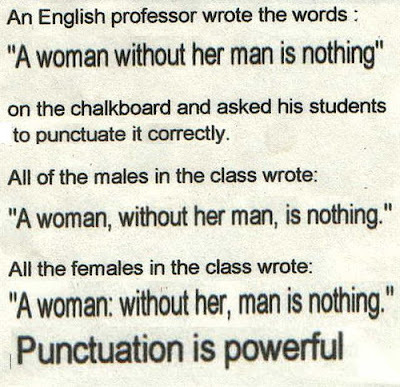 Take a look at this image, and you will see how just by using punctuation you can change who whole meaning of a sentence. Pretty interesting. Your blog is so cool, really brilliant. O como se dice en España, BUENISIMO!